If you’re planning on attending the OpenStack Design summit and conference next week in Beantown you’ll have to check us out. 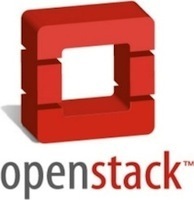 I’m bummed that I will be missing the summit for the first time, I have a big internal presentation next week, but the rest of the Dell OpenStack crew will be there in force. Dell is a sponsor at the event and we will have a keynote, speaking sessions and demos. What have we got in the works? Besides checking out Crowbar and our Openstack solution which we launched back at OSCON we will have a whisper suite where we will be showing our latest and greatest stuff that is currently in the works. If you’d like to see what we have up our sleeve, email us at OpenStack@Dell.com and we can schedule a time slot for you to come and see for yourself. This entry was posted on Thursday, September 29th, 2011 at 8:54 pm and is filed under Uncategorized. You can follow any responses to this entry through the RSS 2.0 feed. You can leave a response, or trackback from your own site.